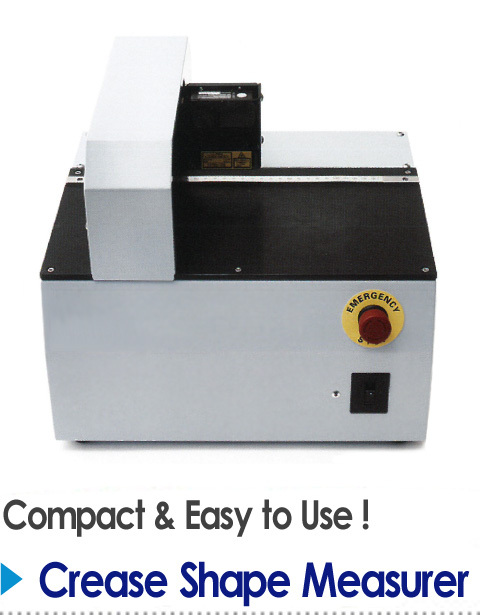 Our company is selling such as practicable weighing devices and parts in the manufacturing premise related to paper container. Please try by all means. The shape of a crease is correctly measured in the non-contact system by laser! The height of each crease is measured as CAD data. 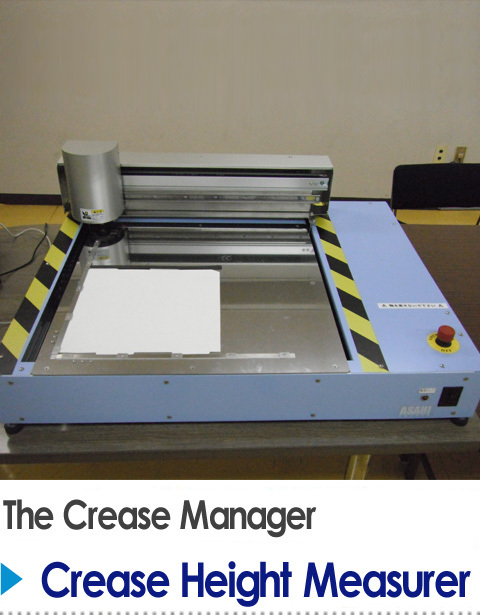 The final edition of crease management! 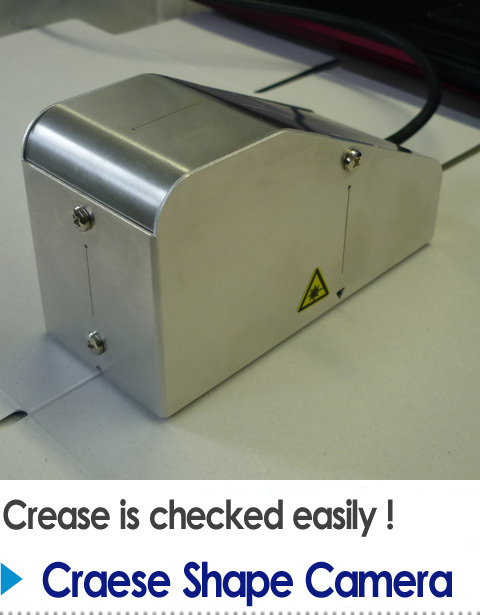 The crease form is easily checked like a mouse on the manufacturing site. 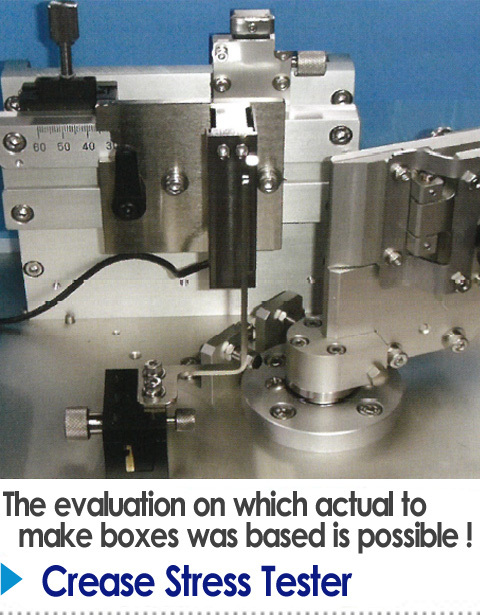 Variegated functions, such as automatic high-speed bending function, are carried. 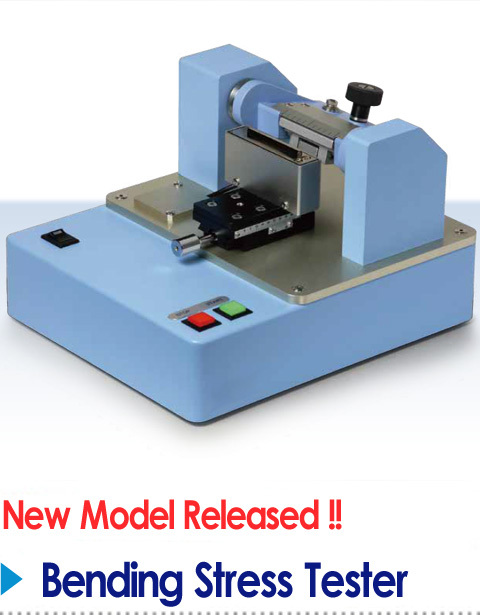 Measuring instrument for bend strength of ruled line that can be carried. Skilled talks in manufacturing premise. 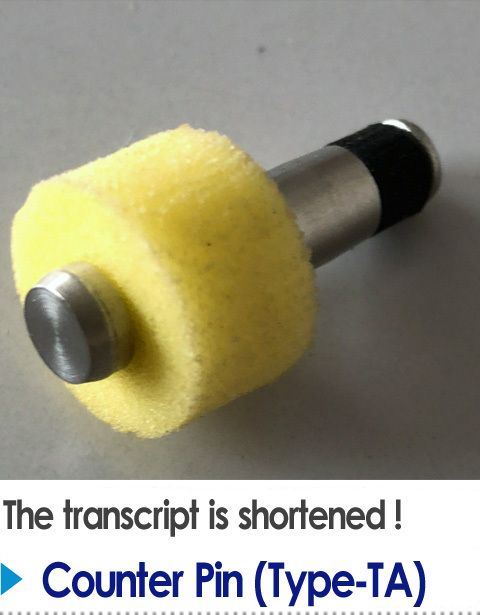 Shortening troublesome work by the transcript of the counter plate is achieved !